Nintendo: Petitions "Don't Affect What We Do"
Nintendo of America's Reggie Fils-Aime says the company is "aware" of petitions but doesn't base its decisions on them. It's not hard to see what people like petitions on the internet. Whereas other forms of activism can require dedication and work, an internet petition makes it possible to attach yourself to a cause with the click of a few buttons. They essentially take activism, which is otherwise often a difficult endeavor, and boil it down to something you can do in a few seconds while you're browsing Facebook. We're not belittling online petitions necessarily. That being the case, it would perhaps not be unfair to question how effective they really are when it comes to influencing a company's decisions. In the case of Nintendo, for instance, they apparently don't do a thing. "[They] don't affect what we do," said Nintendo of America president Reggie Fils-Aime. "We certainly look at it, and we're certainly aware of it, but it doesn't necessarily affect what we do." According to Fils-Aime, while petitions and campaigns like Operation Rainfall do show up on the company's radar, the inevitable decider behind the company's actions is fiscal feasibility. "I wanted to bring [Xenoblade Chronicles] here," he said. "The deal was, how much of a localization effort is it? How many units are we going to sell, are we going to make money? We were literally having this debate while Operation Rainfall was happening, and we were aware that there was interest for the game, but we had to make sure that it was a strong financial proposition." Fils-Aime wouldn't paint this as apathy towards fans of the company or of any one game, however. He'd color it in terms of simply doing his job. "In the end we've got to do what's best for the company," he said. "100,000 signatures doesn't mean 100,000 sales." 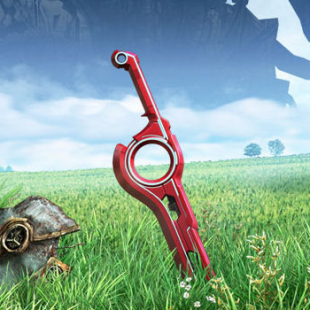 Of course, Xenoblade Chronicles actually went on to sell fairly decently, to the point that it's now a rare game stateside. That said, we do understand what Fils-Aime is getting at. Even when you give your fans everything they want it's no promise that they'll actually spend money on it. We don't necessarily think that means companies should avoid fan-based risks, but we can understand exercising at least some caution when it comes to satisfying their whims.